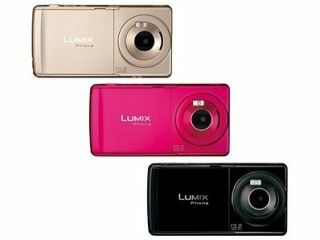 Panasonic is set to bring its Lumix cameraphone range of smartphones to the UK and Europe in 2012, with the company eyeing up a spring launch. This is according to the Nikkei business daily, which is reporting that Panasonic is currently in talks with "a major telecoms firm". According to the newspaper it will launch a new range of smartphones in Europe first, then tackle the North American and Asian markets. Panasonic has not been part of the mobile phone market for some time in the UK. Its last smartphone was released way back in the 2006. It announced back in November that it was set to enter the UK market but this is the first time we have had an inkling of when the phones will start to appear. Panasonic is hoping for big things from the overseas market. Out of the 15 million Android-based mobile phones it has earmarked to sell by 2015, half of these are to be sold abroad. At the moment, Panasonic sells around 5 million handsets in Japan so it is hoping to triple its sales with the announced expansion.